UFO SIGHTINGS DAILY: Street dogs in Rwanda scared when entity moves over them, Feb 2016, Video, UFO Sighting News. Street dogs in Rwanda scared when entity moves over them, Feb 2016, Video, UFO Sighting News. This video was recorded by a small boy in Rwanda this year. 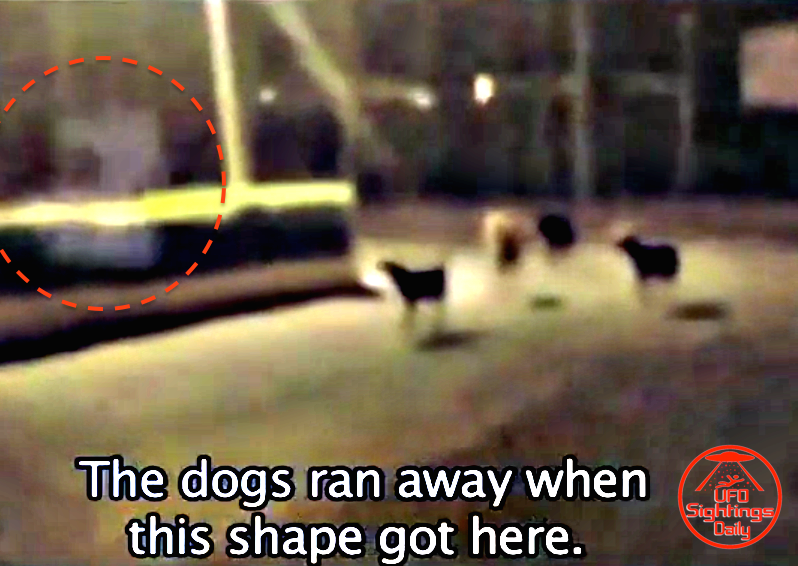 It shows an entity hovering and moving toward the dogs. As it gets close to the dogs, the dogs scatter. It is proof that dogs can sense or see entities that the human eye cannot. Often during UFO cases the animals around will cause an uproar, but especially dogs. Fantastic catch of an alien energy entity exploring the streets of Rwanda. And why would they want be there? Because they want to watch and learn all aspects of humans, including how we treat one another in the most difficult of situations.